Reading ebook is by far the most popular way for us to acquire knowledge. Where once we had to read the physical book, we now access to the book from all over the world through our smart devices. Out of all the services available, the Amazon Kindle store is the go-to streaming service for many, providing over six million titles to read. However, you should keep in mind that ebooks from Amazon Kindle comes with DRM protection for preventing users from copying and sharing without authorization, which means you can only read the protected Kindle book on a Kindle (or device running a Kindle app) and can’t convert them to PDF format. But what if you want to read Kindle ebook in Nook eReader or other devices? Or need to convert it to editable PDF for studying purposes? 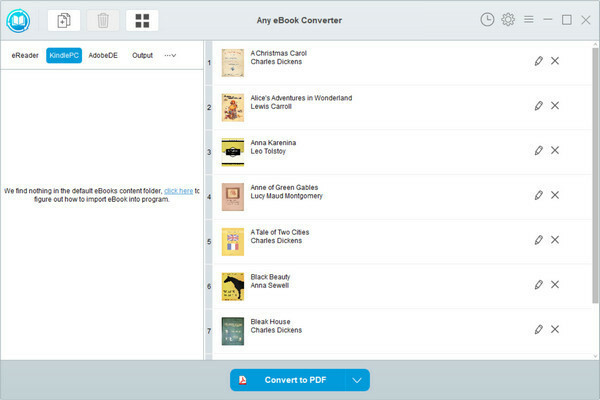 Luckily, there are plenty of tools to help you quickly convert Kindle ebooks to PDF. Here we will introduce an excellent Kindle book to PDF converter and show you the detailed instructions on how to convert Kindle ebook to PDF with its help. 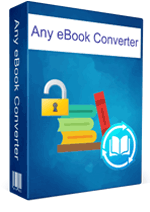 The magic eBook converting tool we are talking about here is called Any eBook Converter. It is specially designed for users to remove DRM from Kindle, Adobe, Kobo, Nook eBooks and convert them to various formats, including EPUB, MOBI, PDF, AZW3, TXT and KFX effortlessly. With this powerful eBook Converter, you can read eBooks anywhere you want to make eBook reading a facile enjoyment. 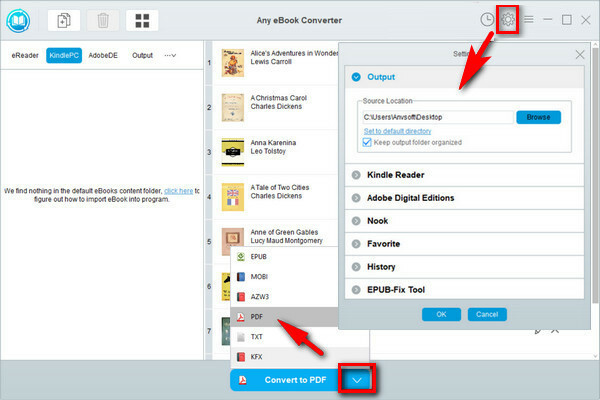 Any eBook Converter enables us to convert Kindle eBook to PDF format with three simple steps, and below is a demonstration of the whole process. Before we get started, please have Any eBook Converter well installed on your computer. 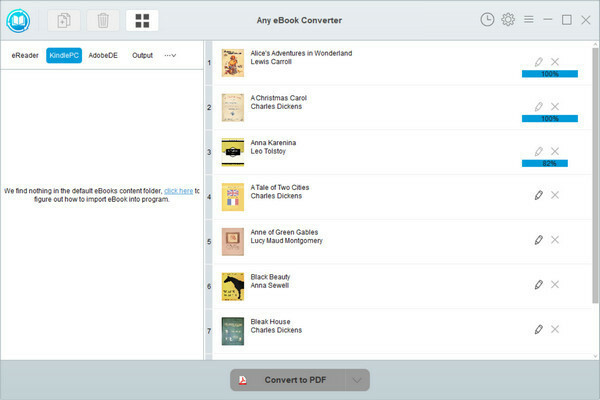 Launch Any eBook Converter, the program will automatically recognize your existent books (synced via Kindle for PC). Drag the Kindle books or click the "Add" button to import the books to the program. After conversion, you can click the “History” button on the upper right or directly going to the output path you set in previous step, you can find all the converted Kindle books on your local computer.